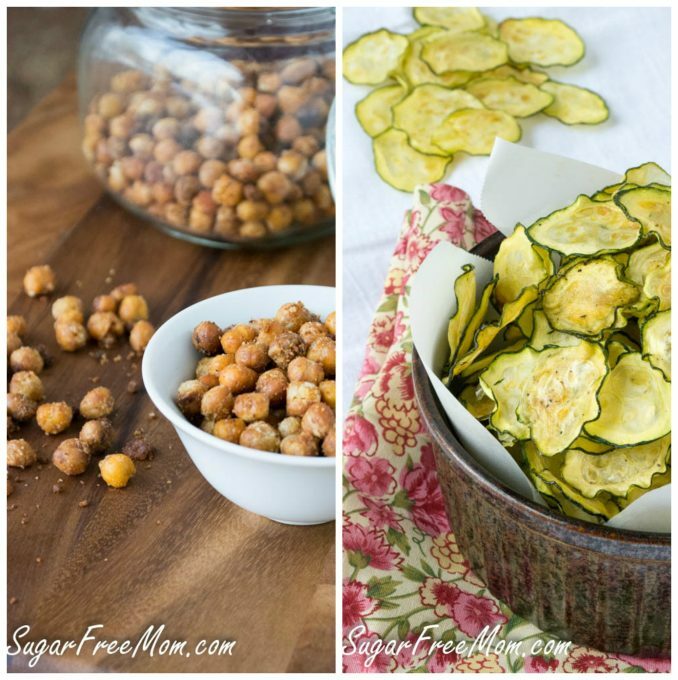 Sugar Free Versus Low Carb: What’s the Difference? Sugar Free Versus Low Carb. Is there a difference and why should it matter? This has been a controversial topic that continues among those who are healthy food bloggers with a following of mixed readership and those looking for healthy, sugar free and/or low carb recipes. What is the difference and why should you need to know? There is quite a big difference and everyone should be knowledgeable in knowing what works best for your body and how it functions. 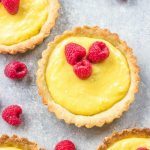 If you’re a follower of my blog and enjoy my sugar free recipes you may wonder what, if anything will change on my blog. I’m sharing all I know with you today and how it effects my recipes. When I first began my blog 3 1/2 years ago I had been sugar free for 8 years. Or at least what I considered sugar free at the time. 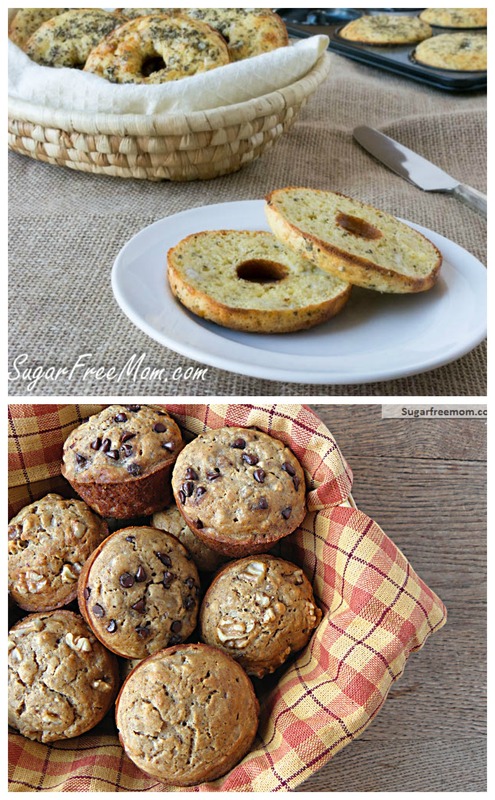 I was still using whole wheat flour and natural sugars like fruits and honey in recipes. My sugar addiction was to added sugar, refined sugars, white table sugar. Once I removed those refined sugars in my life my cravings subsided. So sugar free, to me, meant no white refined sugar in any way, shape or form in my recipes. Basically what’s called today the “no white approach” and even what I would consider paleo as well, with the exception I love cheese and dairy!No white sugar, no white flour, no white rice, no white potatoes and just eliminating those was enough for me for many years to live and maintain my weight loss after my 3rd child. I lived happily enjoying life until one day I received a comment of confusion. “This isn’t a sugar free recipe because it contains applesauce and it’s high in carbs.” My happy bubble had been popped. I thought I was doing everything right. No longer were my recipes what I thought they were and having a recipe with the words, “Sugar-Free” in the title, quickly brought on controversy like no other I’ve ever experienced. I couldn’t be upset or mad about the comment, but it made me realize why such a confusion occurred. What was the deal with low carb, how would it effect my goal in my life and on my blog which has always been eliminating refined added sugars as the main focus? Was low carb just for those who have issues with diabetes? So that one comment started my investigation into the low carb lifestyle. 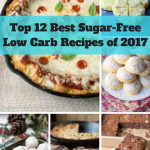 As I researched and read more and more about living a low carb life I still wasn’t convinced I needed to make my recipes low carb. When you do research on low carb diets, “Low Carb” can be defined in many ways with the biggest difference being in the amount of carb intake in a day. Some articles suggest a person can still be low carb enjoying 20% carbohydrates daily, some advise to go as low as 5%. The main problem is that no number is perfect for everyone. Each person needs to experiment if they are looking to lose weight on a low carb diet. The other difference is whether you count the total carbs in a recipe or you count the “net” carbs. “Net” carbs are calculated from subtracting the dietary fiber from the carbohydrates. I still wasn’t sure that this was something I needed to worry about with my recipes. My main goal was eliminating refined sugar. The end. Or so I thought. Many of my earlier recipes on my blog contained natural fruits like applesauce or banana as well as using stevia. Because fruits are high in carbs the recipes would not be considered low carb. Each picture compares 2 recipes so you can see the differences. Unhealthy High carbohydrate foods: Breads, pasta, potato products, rice, crackers, packaged sugary snacks, certain flours especially white flour, cereals. Healthier but still high carbohydrate foods: fruits, beans, nuts, legumes, certain vegetables, oats, barely, quinoa, yogurt. Many of my earlier recipes were using these healthier but still high in carbs foods. Which as I’ve said before, did not cause any problems for me . My sugar cravings never returned once I went off those white foods I described. THE CONTROVERSY: How low is low enough to be considered a low carb recipe? Some say under 5 grams, some say under 10 grams of carbs per serving. The amount of carbs per day varies per person, but in many it can cause blood sugar spikes as well as increased sugar cravings, whether or not you are a diabetic. Even fruit has carbs and natural sugars, although good for you, can still cause cravings in some people. High carb foods and actually any foods that are carbohydrates, whether they come from a healthy source or not, turn to sugar in the body. The quality and quantity of the carbs you eat determines how fast your blood sugar rises and falls. Obviously the healthy high carb foods like fruit, legumes and vegetables are much better for you. They also are digested more slowly into your body so that sugar rush doesn’t happen like after eating a sugary treat like a donut or a plate of pasta. Before I started on a lower carb diet, I was eating about 80-100 healthy carbs a day. Now I’m doing about 20 net carbs a day. The amount of carbs, not just the added sugar is the difference in a sugar free recipe and and a recipe that is low carb. If it’s low carb it IS sugar free there is no other way around that. 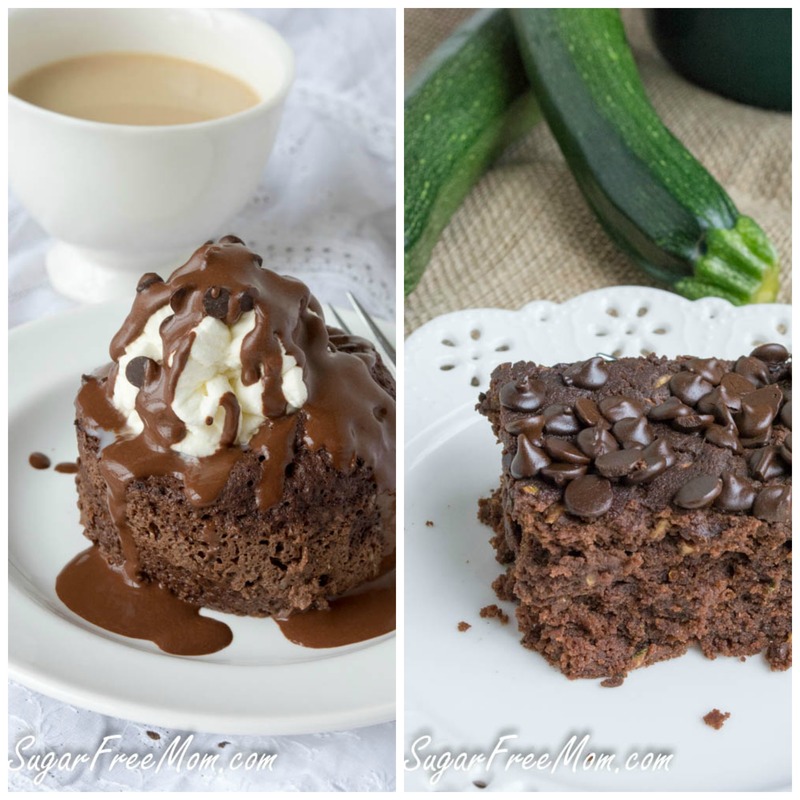 But sugar free does not always mean low carb and that is a big difference here as you can see in the picture comparisons in this post. Over a year ago I was writing a cookbook and in the process of about 10 months with all the recipe testing I put on about 10 pounds. I struggled desperately to lose the weight and follow what I had done for years before and always worked. Nothing budged. Could I blame it on being over 40? Perhaps, or perhaps my body just needed a new change, perhaps clean eating and low fat wasn’t enough to get this weight off. Moving to a low carb diet also meant having to get passed the myth that fat makes you fat. Learning to embrace the good healthy fats like olive oil, avocados, coconut oil, and yes even butter, while on a low carb diet is imperative to success. Healthy fats are what keep you satiated and satisfied. You’ll be less likely to fall off the wagon and binge on junk food and carbs. I can say that personally I am a lot more satisfied and not hungry between meals in the least. I believe it’s a life style that is sustainable. The focus of my blog will not and has not changed. 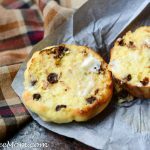 Both kinds of recipes will still be on my blog as well as now being gluten free, but going forward you will see the majority, unless otherwise noted and made specifically for my kids, low in carbs AND sugar free. 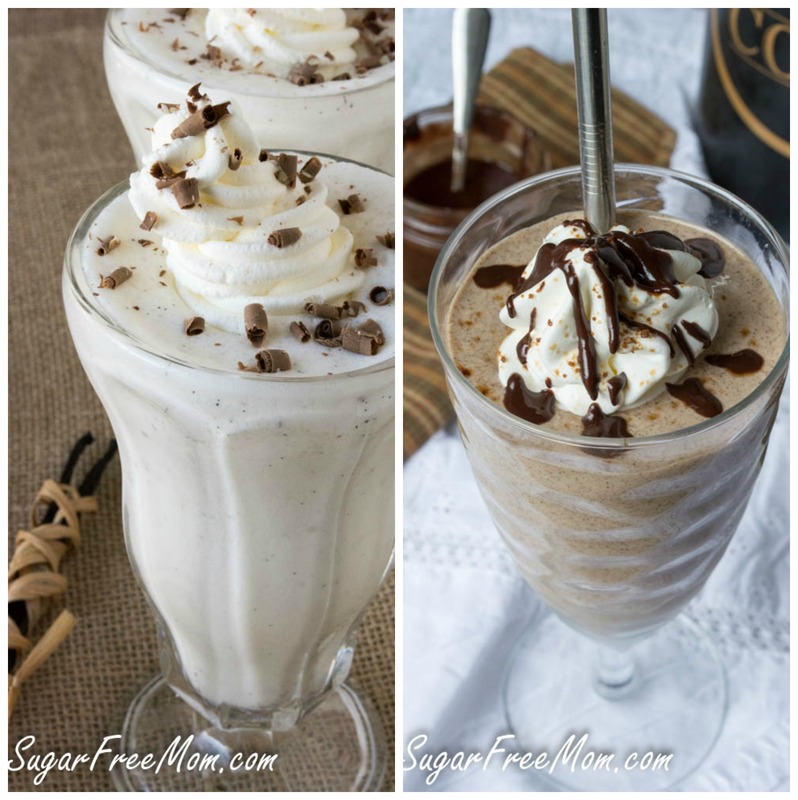 If you’ve purchased my cookbook, Sugar Free Mom: Naturally Sweet & Sugar Free Recipes for the whole family, you will also find BOTH kinds of recipes. All recipes in the cookbook have nutritional information so you can simply decide which recipes will suit your needs and carb intake. Great information! I’ll be turning 45 next week and low carb eating has been my secret to staying slim in my 40s. Having a child at 42 did not cause any weight gain for me as I’ve been very conscious of my carb intake, even when I had to up the amount during pregnancy. I also found that minimizing protein and increasing fat is important for weight loss and keeping the extra weight off. Thanks for including a link to my blog! I love your blog, your incredible recipes, and you! You inspire me daily to understand how transformative this way of living is in our family! Thanks for giving Fluffy Chix Cook a shout out mamacita! I confess I am one of those people who angrily thinks “that’s not sugar-free!! Grr! !” when I see a recipe that contains applesauce. I have gotten to the point though where I can adapt a recipe to suit my personal dietary needs – albeit, to an extent. Another issue I run into on a frequent basis is people who equate low-carb and gluten-free. I have a relative who I am trying very very hard to not blow up at because she keeps posting gluten-free recipes to my wall telling me that I “need” to make them. And then doesn’t understand that I would have to alter the recipe so much that I may as well just make something up myself because I can’t eat 9/10 of what’s in it, and hell will freeze over before things like rice flour even make it into my shopping cart. ANYHOO (because I’m SUPER bad at babbling), I enjoy your recipes a lot, and I look forward to what you have in store! High five! I’ve been on close to the same journey over the last year. Started gluten-“less” first about 4 years ago, focusing on gluten-free whole grains, but by no means “celiac compliant”. Then refined sugar was the next to get cut. Now I do find I feel much better on a low-carb, grain-free or at least low-grain diet. I’m not diabetic, but I’ve found that I’m VERY sensitive to even natural sugars like in fruit, beans and whole grains. 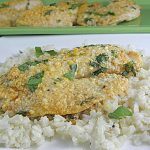 I’m excited for and looking foward to more recipes like these on your blog and happy to see that you are staying true to your original goal… getting rid of refined “whites”. One day at a time. 🙂 Thank you Brenda! The difference (to me) is that “sugar free” (such as your recipes) still use foods with high carb ingredients–carbs that BREAK DOWN into sugars, making your recipes no more sugar-free than a regular recipe when they contain grains, or even tomatoes or bananas. You omit ADDED sugars–not good enough! Low carb limits or omits foods that can break down into high numbers of carbs, such as flours, starches, certain sweeteners or sweetener alcohols, certain fruits and/or vegetables…foods with INHERENT sugars in them. By limiting or omitting the foods that break down into sugars, we’re limiting the sugars that end up in our blood. Low carb (when done properly) is actually better for the blood than just omitting the forms of sugar–you forget that foods break down into sugar, and aren’t visible. This is why I have shared this post to share the obvious decision on my part to make my recipes sugar free AND low carb. I just found your blog today. My hubby is a newly diagnosed diabetic but I also suspect that he may have a gluten allergy. I completely appreciate that your posts contain low carb, refined free, and sugar free. For somebody like me who has a household that is interested in having those variations, this place is perfect! A suggestion that might make it easier for those visitors who want to see only recipes pertaining to them would be to create a simple tag system. Low carb (10 g carbs or less), Refined Free (no processed whites added), and then perhaps Gluten Free, and a No Carb (or Zero Carb or Sugar Free?) tag. I’m sure you can define these way better than I ever could. Thank you so much for all of the hard work you’ve put into all of this. Its completely evident in the quality of your posts!! Thank you so much Adonna and thank you for the tag idea, I will start working on that! I love your blog and this new information really reveals a lot to me. Some of these terms are sooo confusing! Have you heard of these two brands of sweet things? Artic Zero ice cream and Choco-perfection bars? I have food triggers from sugar that knock me so into the wrong zone that I keep gaining and losing the same 30 lbs for almost 2 years. It is so discouraging. I have been told that I need to stay away from sugar like an alcohol needs to stay away from drink. BUT I just KNOW that has to be products that would satisfy the sweet need and NOT put me into a binge. Yes, I do not to be without it…..with all the products out there, there has got to be something I will work on all fronts. Please, I heard of these products and thought they might help …maybe with what they are made of? I have those telling me that if I was sincere about the weight, I would just not eat it. That I’m not trying hard enough to accept that I need to stay away from sweets the rest of my life. Is that really so? Am I so predisposed to this that I have to eliminate it all? Please help as this has been running my life before I knew even that it was doing so. So now I am looking for a solution to the beast of the sweet. Thank you for reading. Absolutely, I agree comparing fruit to sugary treats is not a great comparison and I will clarify that for sure, thanks for your input Ricki! Hi Brenda! I am so glad to have found your blog and all your terrific recipes. Keep up the good work! Also, thank you for listing Carb Wars as one of your favorite low-carb and sugar-free sites! Great post!! I think it’s good someone explained the difference between the two, as it can be quite confusing for some. Do do you eat a ketogenic diet, or just low-carb? I think Keto is probably another post in itself! Right now yes I am personally doing keto. I appreciate all your recipes and when needed make adjustments. I am new diagnosed Type II diabetic( Dec 2014) which followed my heart attack last August and most likely related to the statin med I was placed on. Your site first helped me get off my life time sugar addition – didn’t help being born in the south where sweet tea was the drink. Your guidelines helped keep me off the metformin which was something I did not want – more meds to take. You always seem to provide information at the right time and give the whys. I am not a fan of the American Diabetes website or Weight Watchers. What I have learned is to check my blood sugar to help determine what foods will spite my blood sugar. Anyway love your blog and always check my email to see your latest recipe and information. Great post Brenda! 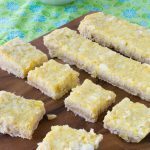 I am new to your site and looking forward to making your recipes!! Brenda, I appreciate that you are keeping both types of recipes and I never confused you site with low carb. The name is Sugar Free Mom!! It never even occurred to read between the lines or nit pick….AND I’ve followed LC since 97-98. If your site makes some angry then maybe it’s an anger issue that that person should address. But really, we should all be able to enjoy your recipes same as we would with Joy of Cooking; you take what you like and leave the rest. Thank you for the wonderful recipes. I love your recipes and your blog! I also try to eat low carb and enjoyed reading about your journey. 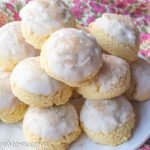 Thank you for the great post explaining the change in your recipes. I have been following your blog for a couple of years now. I initially found it searching for dairy-free recipes for my daughter, and enjoyed the other healthy recipes for our family. I have typically been avoiding processed foods, using whole grains, and natural recipes. I will say that I haven’t been following your posts as much the past 6 months or so. I’ve been trying to use only natural sugar or Stevia in very limited quantities. Sugar substitutes cause diarrhea in our daughter (most kinds) so it just doesn’t work for us. I’ve seen that many of the recipes are now advertising sugar substitutes which is a bit troubling. And it seems more of the recipes are very high in fat. I do realize the importance of good fats, and the recommendations to include these. But my goodness the quantity of fats in some recipes. I try to use healthy fats, in moderation. Nuts. I don’t think the recipes need quite so much fat to be tasty and filling. A recent change for me has been a diagnosis of pre-diabetes. I have always been a healthy weight, but being over 50 now has had its challenges. Diabetes runs in our family, and I had a large baby, so I’ve known for a long time that I have a high risk of this. Now with the pre-diabetes I am changing the game in earnest. So I am closely following the need for low-carb recipes. I only want to lose about 5 pounds, but also now need to watch my total intake of carbs. I would say that really doesn’t mean avoiding carbs totally, just a need to watch intake — and that means portions, too! 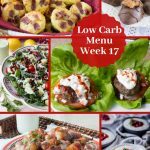 So I welcome your ideas low carb recipes. Just not, maybe, quite as much of the high fat ones. Those of us with diabetes concerns also need to be aware that heart disease is linked with diabetes! And watching intake of fats is still important. NOT low-fat of course, just not overboard. By the way, my mom was diagnosed with Type 2 in her early 40s and is now a relatively healthy 91. So many years of diabetes. She always went no sugar, only sugar substitutes — and still doesn’t understand low carbs. But she never was big on carbs or breads, and always went with whole grain breads. No noodly or saucy dishes. So I suppose her diet was accidentally low carb. And you know she has always been able to control the diabetes through diet or oral medication (which she was able to discontinue for a time until her 80s). So there must be something to all that. So my take on all of this is to watch carbs carefully (in my all of 3 weeks experience with this! ), use sugar substitutes sparingly as possible, and also go for recipes with a moderate fat content overall. Everything in moderation. And NOT go on the bandwagon of low carbs means a fat free for all! I enjoy your blog, keep at it and I’ll watch for more of the great recipes. Just wanted to put in my 2 cents here. Great post Brenda 🙂 I have been LCHF-GF since 2000 and actually was part of the Atkins “Movement” in the 70’s lol I am no purists for sure and have to eat “healthy” for health reasons. Your recipes are wonderful and if I have to tweak something then I smile and do it! Rocks should never be thrown at a blogger or author. All of our needs and reasons being on this way of life, is our own personal journey & levels of needs . 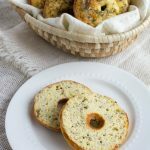 If you cannot use eggs in a recipe use Chia for example. You and ALL the bloggers mentioned above give us all the tools that we need to use and we should not expect you to be our personal trainer/chef or counselor. My hat is off to you and all who help us stay on tract with wonderful recipes we can enjoy in our lives. I enjoy my lifestyle because of people like you so thank you again! I was diagnosed with diabetes in May of 2014. I lowered my blood sugar level from 9.6 to 7.0 just by following a low carb diet in less that 6 months. I have just really begun to follow your blog, maybe for less than a year now. I find your recipes to be very good. I really enjoy reading your blog. I think you are doing a great job. If I saw a recipe that in it you used applesauce I just didn’t follow the recipe as you printed it. But then again, all my life I didn’t always follow a recipe to the letter………I have been cooking now for over 55 years. Just keep doing what you are doing! Love it all. Thank you so much. I have often windered researched and tried so hard to understand the whole concept of low carb and sugar free this makes so much sense to me. In a clear i can relate and understand type of english. Would you be open to creating a book all low carb? Hi Brenda @sugarfreemom I was wondering if listing the sweeteners in order of your preference if you have done this yet on a post and if so where? I’m new here and curious to see your thoughts! I’ve not done that. 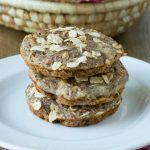 I prefer to use Sweetleaf Stevia in liquid form most of the time, but for some baking desserts I like a combo of using Swerve confectioners or granulate with liquid stevia for a nice balance of flavors. Very much like what you’re all about!! I’ve been doing this for 13 months and I’m down 40 pounds!!! Thank you for all the wonderful recipes! Hope you like the link, he even has podcasts! Hi, this is really useful, thanks. I’m interested in experimenting with what suits me in terms of sugar/ carb content. Could you recommend an easy reference guide/ fridge poster with sugar/ carb amounts in fruits/ vegetables/ drinks etc?